Toilet Plumbing | Doug Turner Plumbing CO. Your West University Place, TX toilet plumbing is probably not something you give a whole lot of thought too. First off, why would you? It’s easily the grossest part of your home, right? Unfortunately though, neglecting the care it takes to ensure you don’t have plumbing problems can leave you with a disaster on your hands. 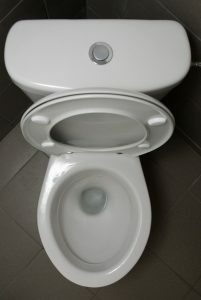 When it comes to toilets, one of the most common service calls we get are in regards to clogs either causing water to back up or not flush down. There are two things that are okay to put down your toilet—waste, and toilet paper. Unfortunately, some homeowners think they can make some kind of exception to this.